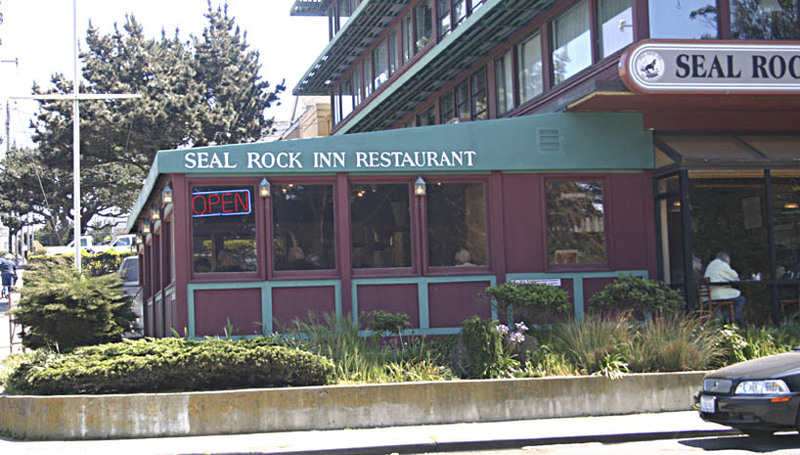 Located on our ground level, the Seal Rock Inn Restaurant is a casual and popular eating place featuring delicious breakfast and lunch items, including international-style omelettes and a special Greek luncheon selection. The entire menu is available all day — yes, you can have breakfast at two in the afternoon if you like. There is no room service, but the restaurant has take-out. If you don’t like making your own coffee, there is fresh-brewed coffee to go. Our restaurant has a friendly underwater theme (with etched-glass sea lions) on a Mediterranean-style patio.